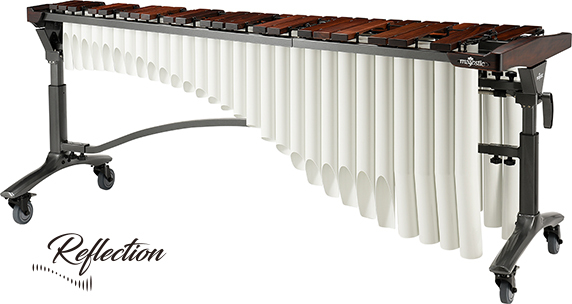 Re-leveling rail adjustment ensures a flat surface for consistent performance. 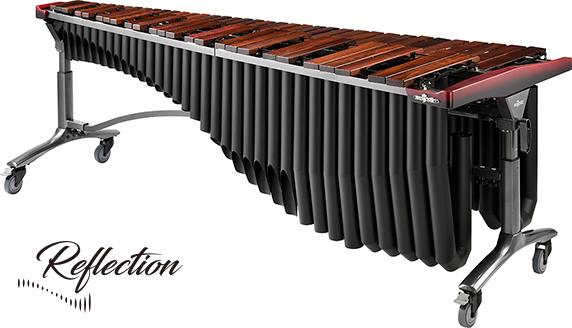 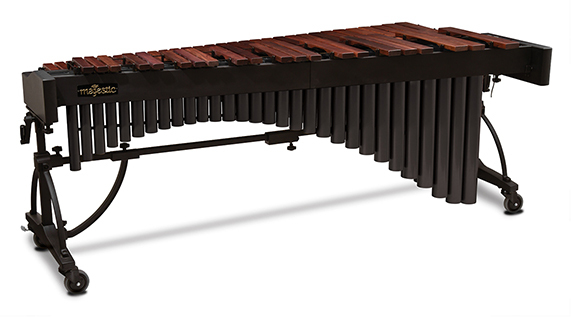 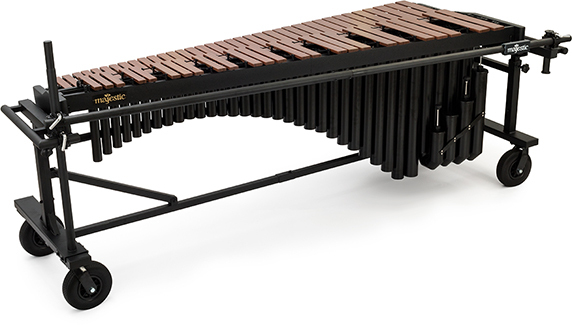 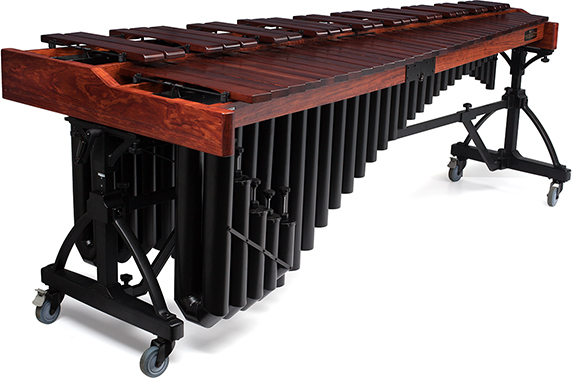 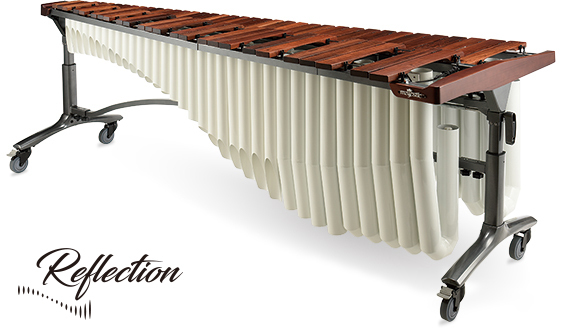 The Majestic Quantum Series 4.6 octave synthetic bar marimba meets the demands of contemporary front ensemble performance. 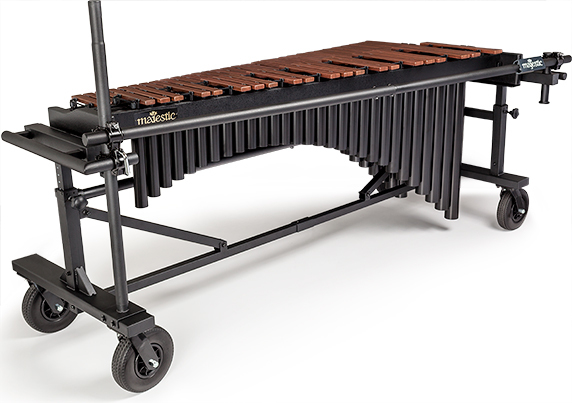 Its rugged frame with versatile mounting options and black resonators set it apart. 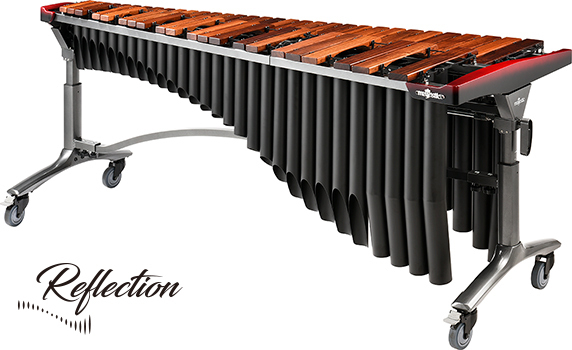 A special synthetic bar formula with woodgrain print produces exceptionally warm tone.